In the past month, I have added one more transportation mode to my arsenal: a 150cc Taiwanese motor-scooter. I dragged my feet for some time before going motorized. 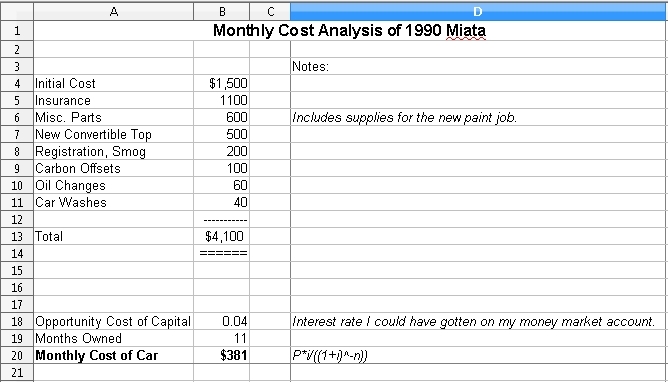 During the past ten months of living with no car, though, I realized that I had a lot of trouble with trips of between 15 and 50 miles. They were too far to ride my bicycle (if i wanted to get there on time and/or carry any amount of cargo). They were too short to justify borrowing or renting a car. If the train went close, then no problem. A lot of trips around here are only served by bus, however. Here in Southern California, a thirty mile trip across town can cross the territories of three or more transit authorities. Just working out the transfers was a headache. Even after realizing that I needed some sort of motorized transportation, I spent several months researching various forms of powered bicycles. Electric bikes are cheap to recharge and low maintenance. Unfortunately, the good ones are expensive. Also, the batteries wear out after a couple of years. During this period, I wrote a rather chilling research paper about the environmental problems of recycling batteries. Too, few e-bikes can much faster than 30 mph–fine for downtown, but too slow to keep up with traffic in OC and the South Bay. Next, I looked at gas powered bicycle conversions. They are much cheaper than e-bikes. I could have gotten everything I needed to convert a beach cruiser for about $250. If I was willing to cheat a little on engine displacement, I could probably build a 50 mph motorized bicycle. The only problem was, I have already owned one. I remember it as a noisy vehicle with poor handling at speed, with inadequate brakes and tires that wore out as fast as I could change them. From an environmental point of view, motorized bicycles have engines about the same size as motorscooters. Because they have no transmission, however, they are inherently less efficient. Thus, they tend to burn more gas to travel the same distance. They also have more lenient smog requirements, so they tend to pollute more. I was already considering some kind of scooter when I went to Thailand on vacation. In Thailand nearly everyone rides scooters. They use them to carry passengers and cargo in all kinds of weather conditions, everywhere from the freeways of Bangkok to remote country roads. Needless to say, I resolved to buy an Asian-style scooter as soon as I got home. 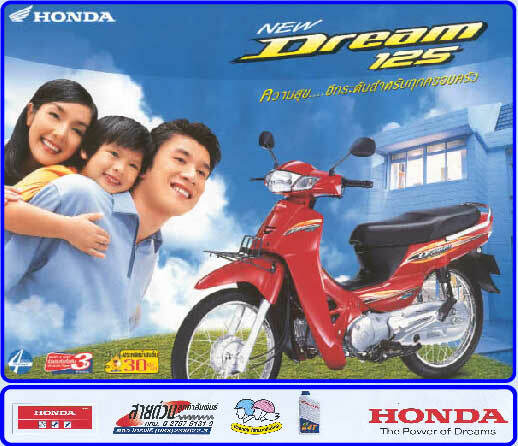 The most popular scooter in Thailand is the Honda Dream, which has large wheels and uses Honda’s famous 125cc GY6 engine. Unfortunately, Honda no longer sells Dreams in the US. Luckily, Kymco (who used to build scooters for Honda) makes several GY6 based bikes which are quite similar. I settled on their People 150. I decided that, since I am a bit larger than the average Thai, it was reasonable to choose the next larger GY6. So far, I have been fairly happy with the Kymco. It does a splendid job of the mission for which I purchased it. I can load it up with ten bags of groceries, and still keep up with traffic. It does not take up much more parking space than a bicycle. The only problems I have had so far have been mechanical. It stalls inexplicably when running. Vapor lock, perhaps? I have had it apart three times now, but I am sure I will find the problem soon. The real question, of course, is weather it is morally acceptable to buy a combustion vehicle. I have wrestled with this one, and concluded that it is a necessary compromise. A small scooter still has far less environmental impact than a car. Having the scooter allows me to borrow cars less often. Sure, I would like to live in a city where it was practical to get everywhere by bicycle and train. Los Angeles, however, is a city that was designed for driving. As long as I am stuck here, I think I will need to keep the scooter. Suited up with homemade rain gear to run permits on a stormy day.